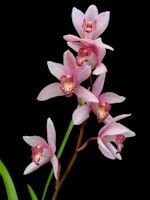 This petite Cymbidium blooms flowers of a delicate, blush-pink. The lip has plum-red spots over cream-white with yellow at the throat. 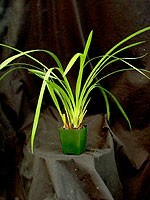 A cross between Cymbidium Peter Pan and Cymbidium erythrostylum. 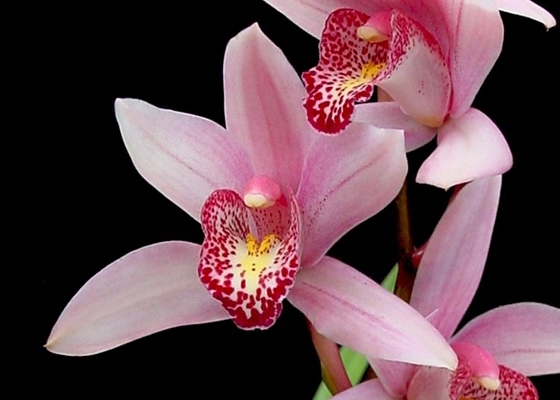 It is one of our earliest and most free-flowering miniature varieties. .Temperature Tolerant. September-October blooming.